Undisputed, inarguable fact: Emily Blunt is an international treasure. If the makers of Disney’s Mary Poppins Returns did nothing else right, the casting of Blunt as the “practically perfect” magical nanny was a stroke of inspired genius. 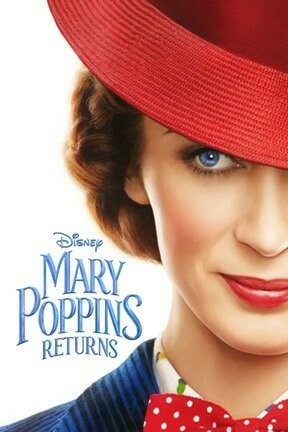 Unfortunately, it’s a fool’s game to try to force lightning to strike in the same place twice, which is why Blunt’s performance—which is easily equal to that of the great Julie Andrews—is the best thing about Mary Poppins Returns. That isn’t to say the film is a poorly considered waste of time. The story of a now grown-up Michael Banks (played by an excellent and heartbreaking Ben Whishaw), who’s raising his three children (played by bland bars of soap) following the death of his wife while desperately trying to hang on to his childhood home adds an affecting layer not seen in the original. The problem lies in slavishly trying to re-create something that’s practically perfect—if one aspect isn’t right, magic just ain’t gonna happen.